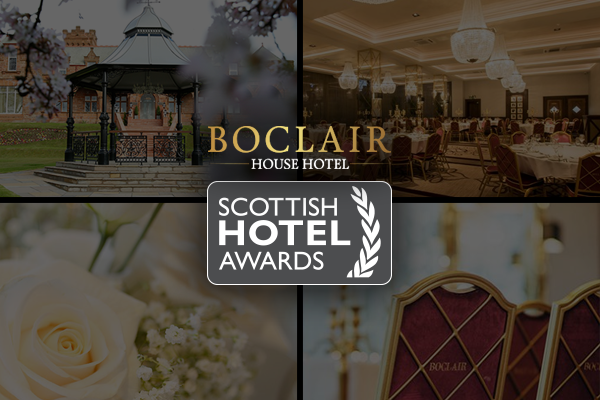 The accolade was awarded at the Scottish Hotel Awards 2017 which celebrates our nation’s best hotels and hospitality professionals. We are overjoyed at receiving the award and it’s fantastic recognition for us in such a short time of opening. The award was announced at an event which was held at Glasgow’s Crowne Plaza and hosted by Carol Smilie in front of an audience of over 400. If you would like to find out more about our hotel then see our about page here. Or, you can also make a wedding appointment by clicking the below.